Trolling for sponsors 2.0 — BackBrat I need you! Because this woman has a sausage grill strapped to her bike, the guy with the hot legs is chasing her. Tomorrow my sidekick Lucy and I will bicycle the Lemhi Valley Century Ride together again. Two things remain the same this year: 1) Lucy and I have no sponsors, and 2) Iron Chef refuses to join us. Thanks to gentle reader Chucky T for suggesting this possible solution to both problems. 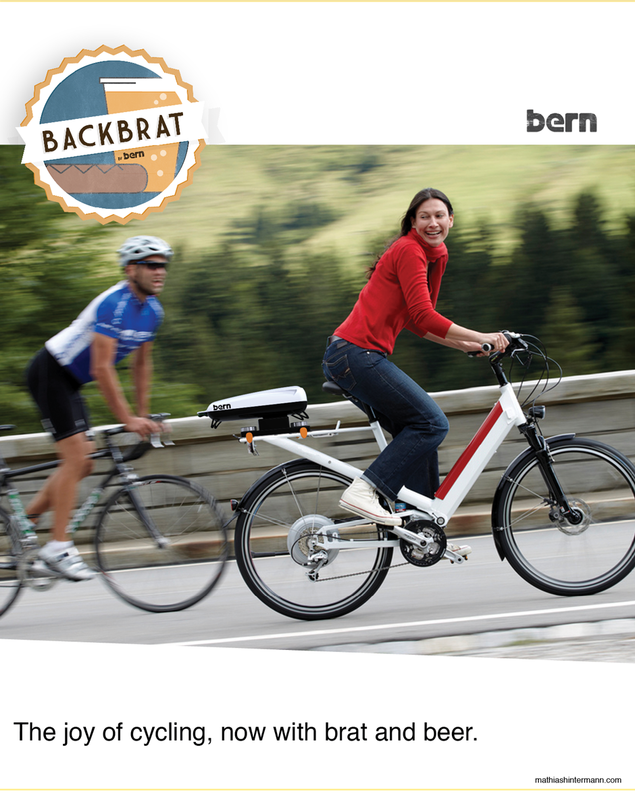 Backbrat is a design innovation combining cycling and sausage. Iron Chef would surely be tempted to pedal with me if tasty salted pig parts were smoking in my saddle bags.